你好 (Ni Hao, Hello)!! Guess what day it is? It's Nails Tuesday!.. I think ill change the name to manicure tuesday.. it sounds better.. hmm still thinking of the names. Anyway, this weeks nails of the week design was inspired by Effie Trinket from the Hungar Games. I have not seen the movie but seeing everyone's "inspired" nails inspired me. I just added silver to the tip instead of going all gold. I guess it is more of a normal gradient. I hope you enjoyed this nail design.. I did a tutorial for a different design but movie maker froze on me so that will have to wait for me to edit =.=.. 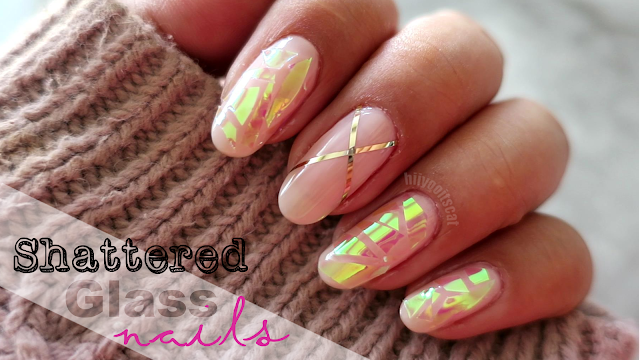 I will also be showing you guys how to do simple designs with tape =).. for those that don't own any nail art tools. See you in another post.. Ciao ciao for now!